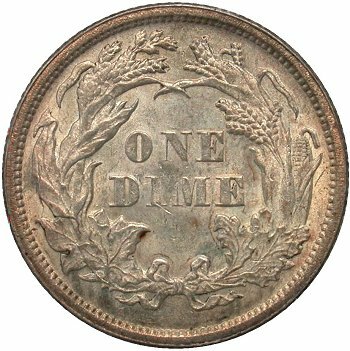 Comments: On Obverse 5, the 1 and 8 digits in the date are repunched. 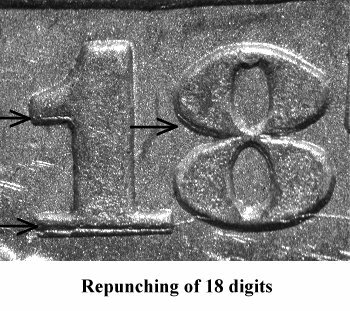 The repunching is most visible below the base and the flag of the 1 digit and, with close inspection, at the left hand side of the top outer loop of the 8 digit. 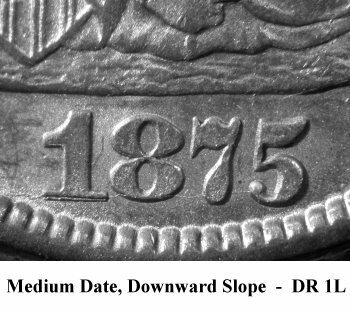 There is a die crack that connects the bottom of the date digits. Reverse E can be characterized by a weakly hubbed denomination. The upper bars or flags of D(IM)E are completely missing whule the left segment and foot of O(N)E was poorly transferred to this working ide. The reverse die is cracked with die cracks encircling the wreath. 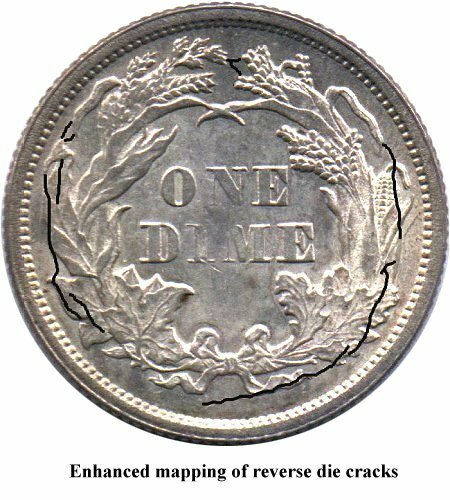 Please see the above mapping of these die cracks for reference. 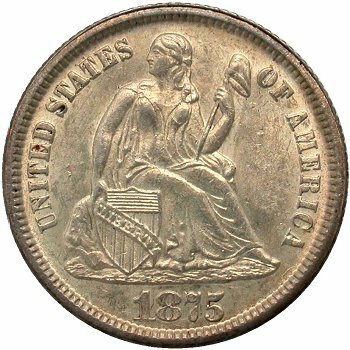 This repunched date variety remains scarce after years of searching by collectors and is considered to be at least R4 in original VF or better grades.